JetDock’s static floating boat lift is a floating boat lift that gets your craft completely out of the water, has no moving parts, and requires no electricity to operate. These lifts are best for outboard, inboard/outboard and jet drive craft up to about 25’ and 5000 lbs. Our static boat lifts can be used in all types of water levels, with or without an existing structure. Our lifts are portable and expandable, offering you the flexibility to fit your dock to your lifestyle, no matter how that changes. 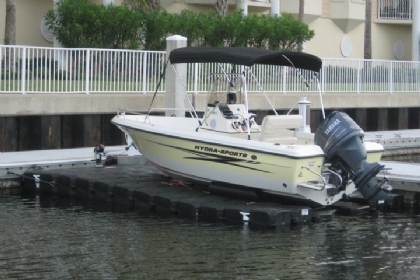 Also, with our limited lifetime warranty, you do not have to think about replacing your static boat lift. View our models below to find the lift that is right for you. Our Economy boat lift models use less material, which is less expensive but still keeps the craft out of the water. 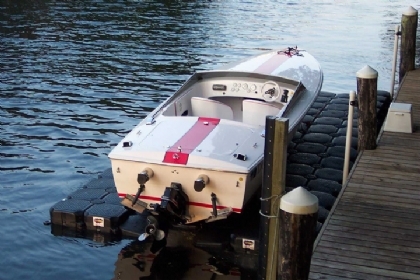 Our Universal boat lifts work for any craft, and they are great for almost any purpose. Wide body boat lifts allow for heavier craft, has more walk around space and gives the boat lift added access to the craft. 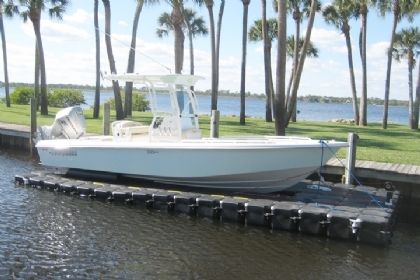 With our boat lifts, we include everything you need for easy installation, including winch, fasteners, launch system, structural beams, and more. 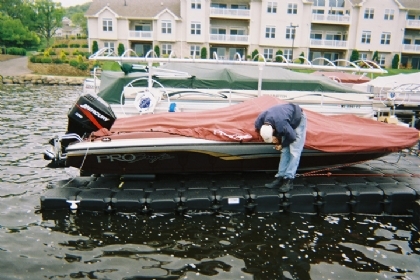 Air assisted packages can be added to our static boat lifts for heavier craft and for ease of use. For more information, or help ordering, we have representatives waiting to help you. Give us a call at 1-800-538-3625 or contact us today.